The heart of the museum is the building that housed the town's theater when Dalí was a child, where one of the first public exhibitions of young Dalí's art was shown. The old theater was bombed during the Spanish Civil War and remained in a state of ruin for decades. 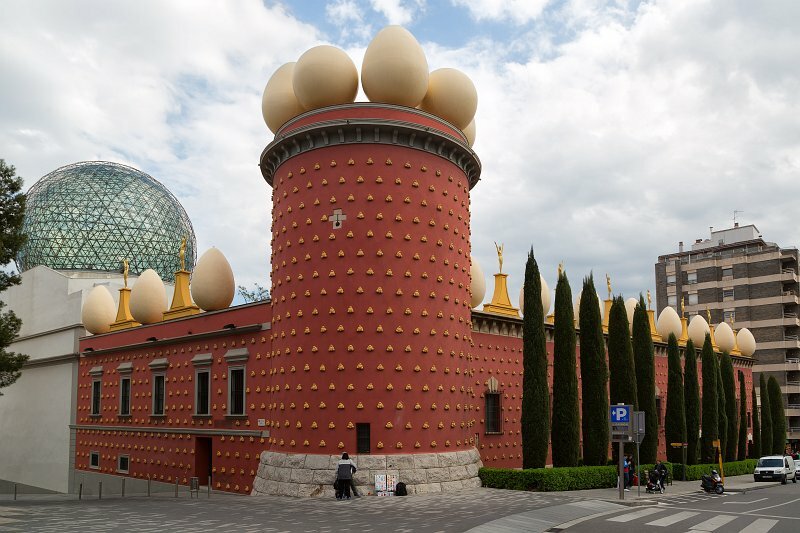 In 1960, Dalí and the mayor of Figueres decided to rebuild it as a museum dedicated to the town's most famous son. The museum opened in 1974, with continuing expansion through the mid-1980s. The museum now includes buildings and courtyards adjacent to the old theater building.